Influenced by her first computer and its workings, Scarlett designed this 40" (102cm) quilt in 1998. 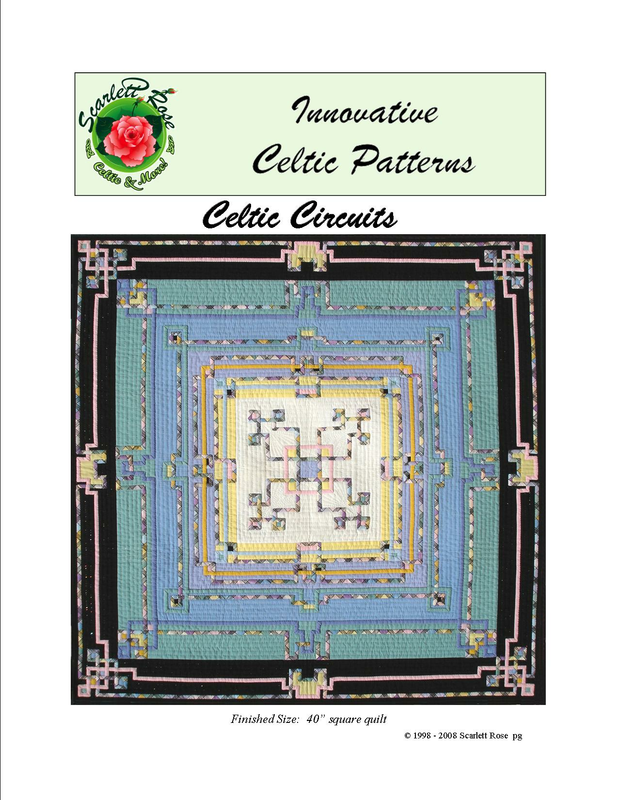 She felt it gave a unique impression of a computer circuit board! 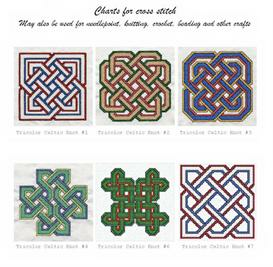 This is a very versatile pattern, since the borders can be easily adapted to fit other projects that would be enhanced by a Celtic border or lattice. Celtic Circuits has been revised and updated for its debut as an epattern. 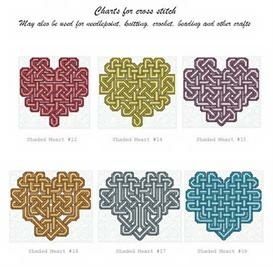 Full size template pages are provided for half of the center block and one each of the border designs, which are made up of corner designs and side border designs. 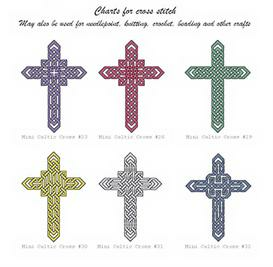 Print multiple pages if you wish to have a complete pattern, or use each element separately for marking.